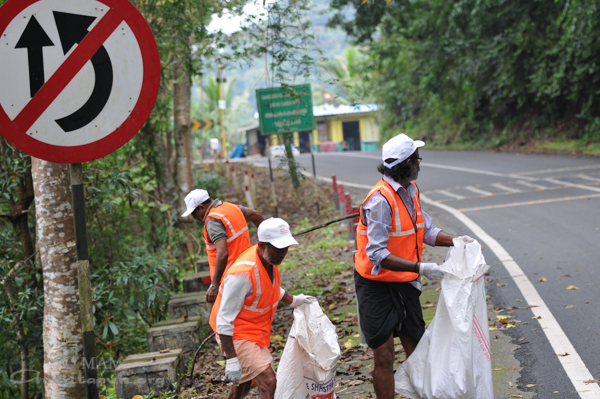 1,500 volunteers participated in the clean-up of Pampa and a 50-kilometer stretch of (Pampa to Laha) forest road. 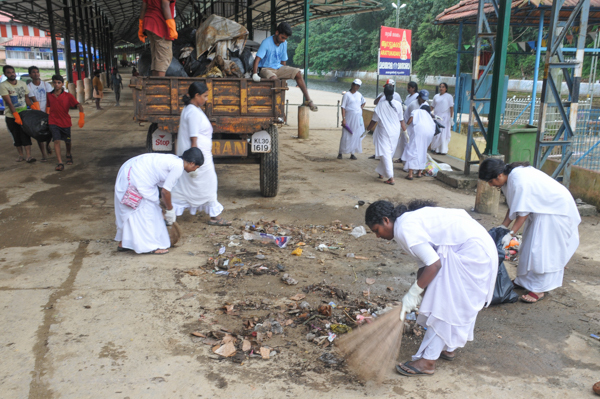 Deep into the forest on both sides of the road the ground is littered with plastic thrown away by the pilgrims. 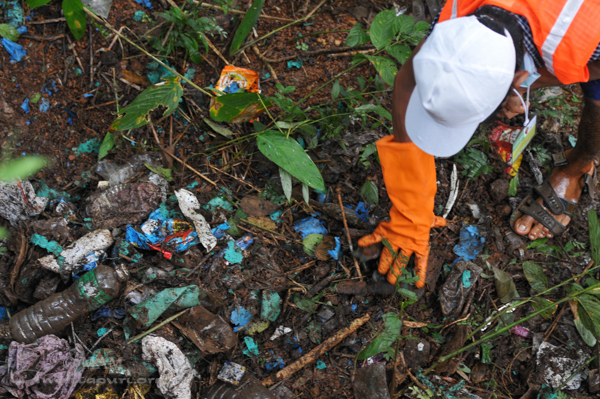 When the pilgrims throw food waste wrapped in plastic, elephants and other other wild animals eat the food and plastic both. 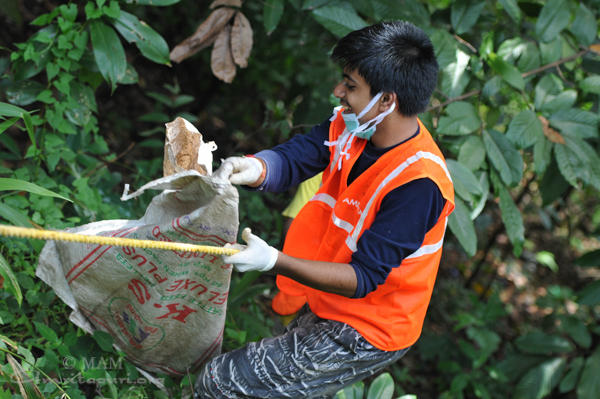 Forest officers say this is often fatal to the animals, with post-mortem reports revealing intestines clogged with plastic. 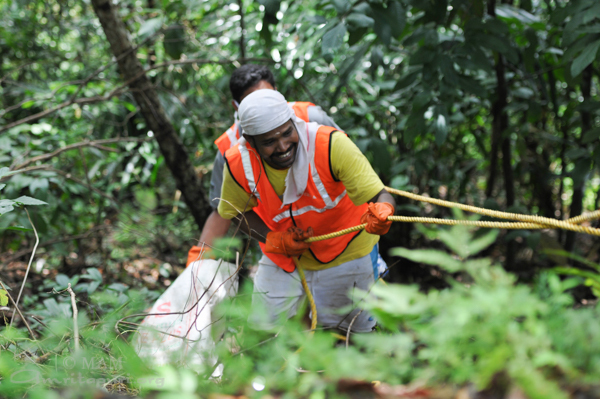 The District Forest Officer asked Mata Amritanandamayi Math (MAM) to help resolve this issue by removing the plastic from the deep forest zone which is considered a severely threatened environment. 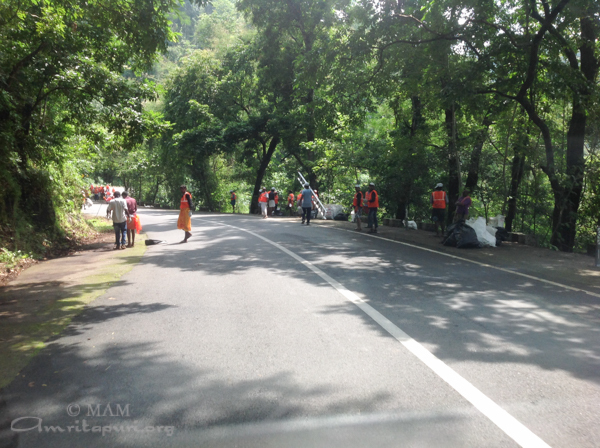 The volunteers worked their way 50 meters away from the forest road to clean up the litter. 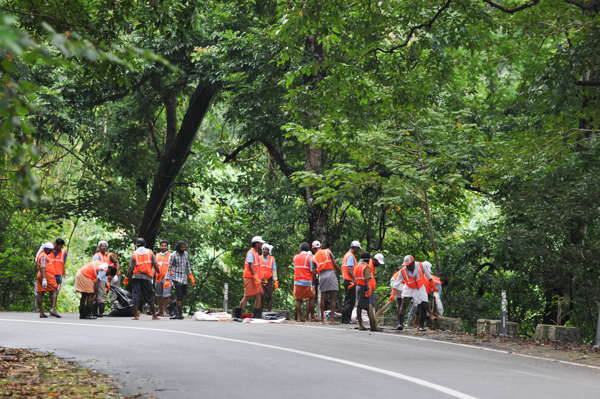 In many places, volunteers had to use ladders and ropes to descend into the forest, since the hill road is a few meters above the forest ground. 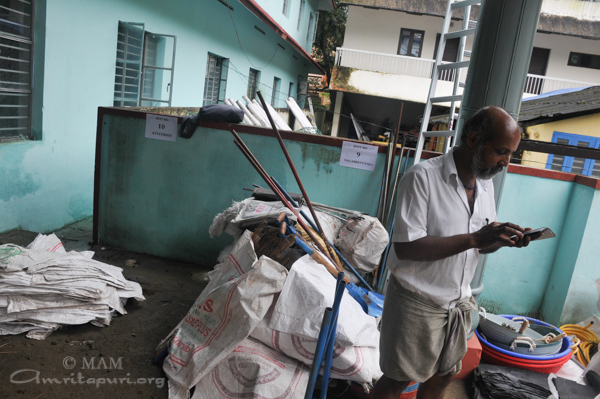 Dividing the groups into 10 teams and splitting up, we were able to cover a 50-kilometer streth of the road. 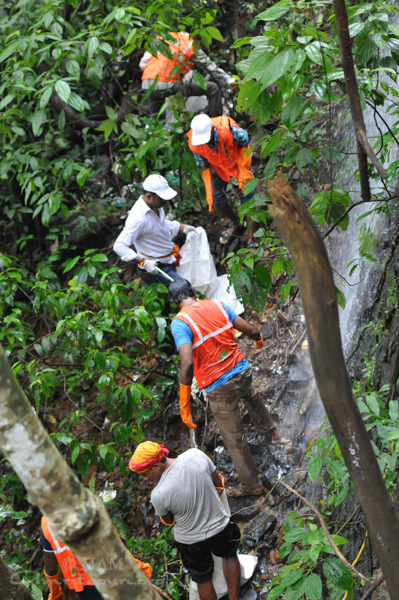 Volunteers wore protective gear and leech repellent, but still many volunteers were bitten by leeches while working in the forest. 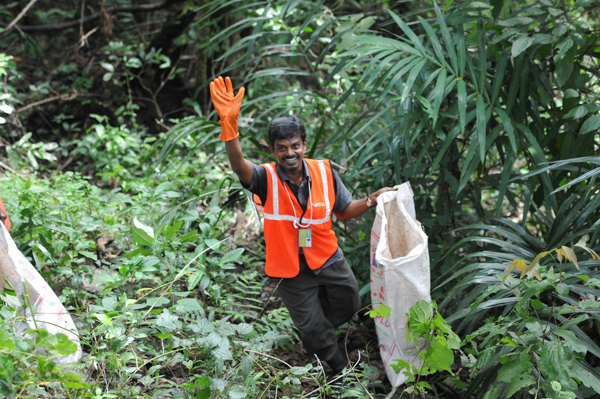 But Amma’s volunteers happily braved the leeches and other risks and unpleasantries in order to achieve their goal of making the forest safe for wildlife again, clearing the area of plastic and other litter. 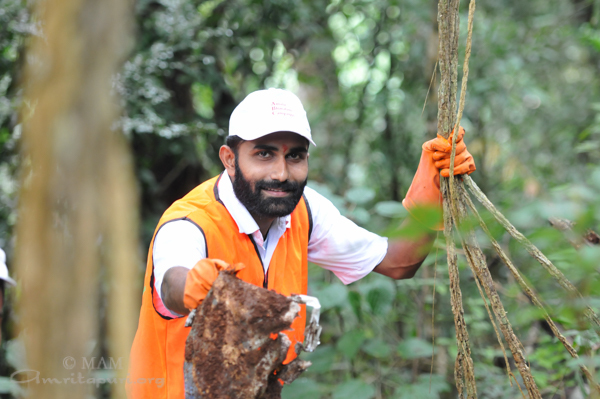 The forest officers were very happy that we have volunteered to do this seva, and they also worked alongside our teams in many places to help the process. 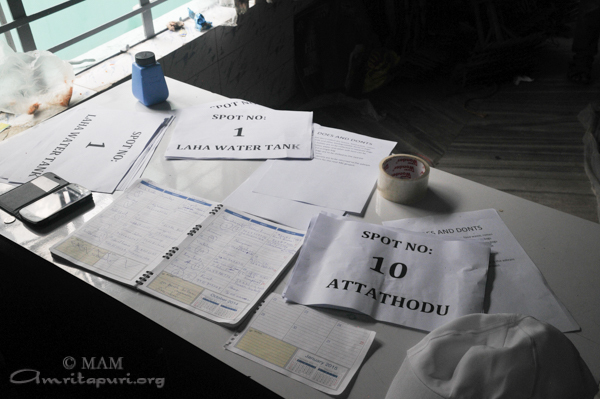 We were accompanied by a medical team from Amrita Hospital equipped with anti-venom and first aid kits. 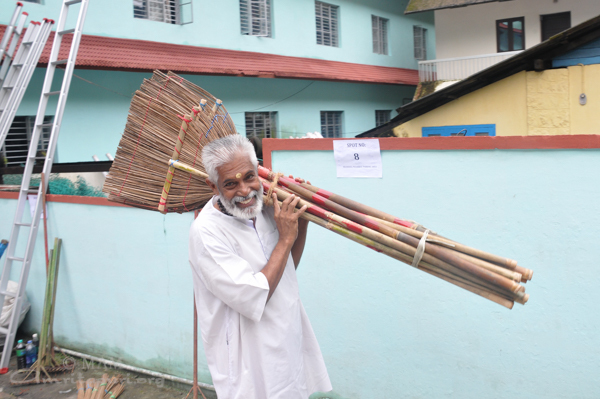 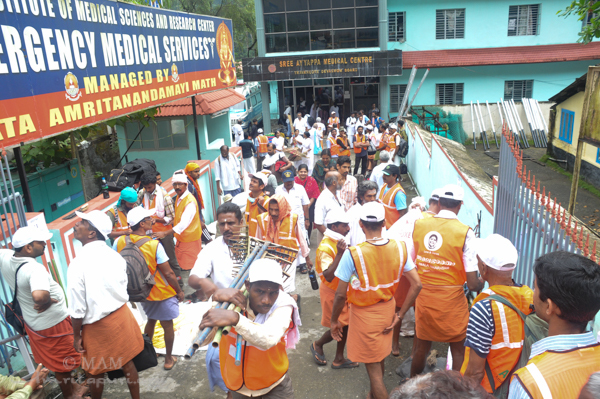 The medical staff also helped with the cleaning project. 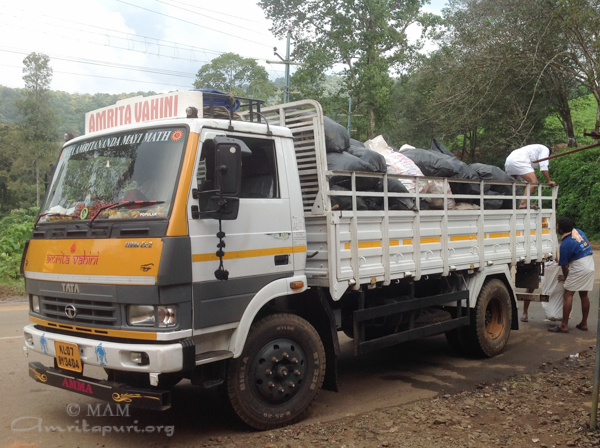 Further, MAM has presented a master plan to the Government for a sustainable system to be implemented to permanently resolve persistent waste management issues in both Pampa and Sabarimala.